Why I'm seeing a lock besides the partition I'm trying to modify with gparted? 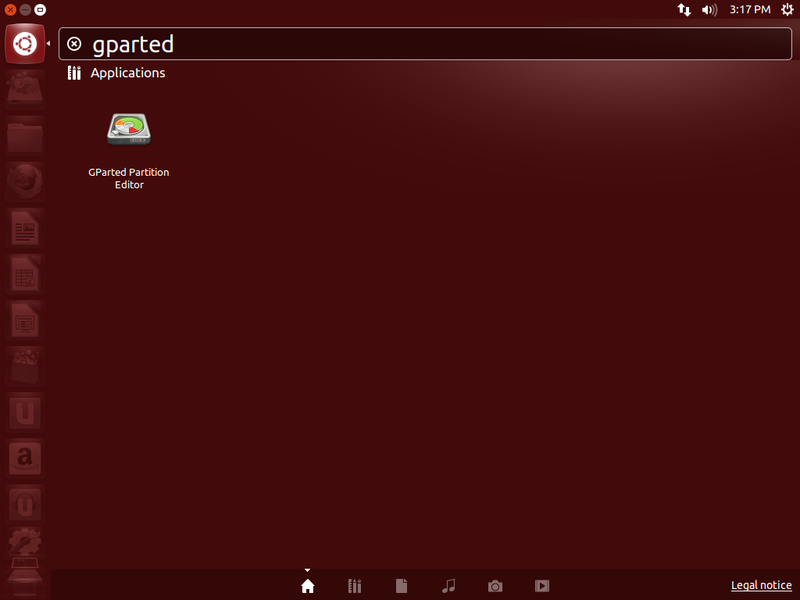 I wanted to create more space for Ubuntu on my hard disk in favor of my Windows partition. I booted the livecd and resized the NTFS partition to 100 GB. Then I wanted to resize my Ubuntu (ext4) partition to fill up the created unallocated space. My first thought was just right click on sda6 → move/resize → done. Unfortunately I cannot resize or move the partition. However I can resize the NTFS partition. So how do I resize the ext4 partition anyway, probably by unlocking the extended partition, but how? You cannot resize a mounted filesystem, that's why you see a lock icon. You were doing well, you booted into a Live CD and resized the NTFS partition. Now you need to enlarge the Extended partition, partitions "inside" that extended partition cannot "escape" outside. Apply the changes and you're done. For a start boot with your live CD. Now a new box will appear with the label unallocated. 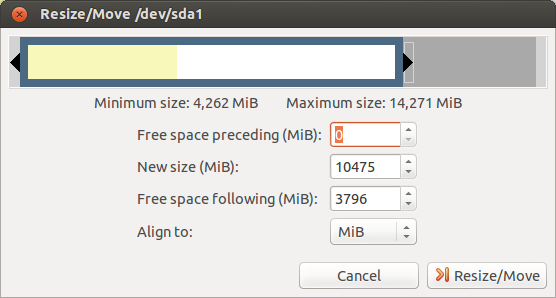 We will now add this free space at sda3 partition. Hit the button Resize/Move to submit the change. Finally, click on the "tick" button to apply all your changes. A partition cannot be resized when Ubuntu is running off of it, or it is mounted. Boot the setup CD(live CD) and select to "Try Ubuntu". Once it boots, start GParted and right-click the partition. Unmount it. 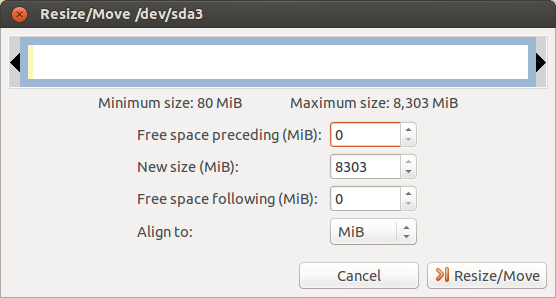 Then, delete or resize any partitions to the left or the right of the partition in question. Now, right-click the partition and resize it. Click Apply on the GParted window and let it finish. You need to "Apply" since the changes are not done until this step. They are only queued up when you perform operations in GParted. Don't forget to make a backup of any important data! Yes you can with GParted. Boot from Ubuntu live CD. Select the Ubuntu partition in question and click on Resize/Move from the GParted toolbar or select Partition menu → Resize/Move - provided that the gained unallocated space is right next to the Ubuntu partition in question. If the unallocated space is not adjacent to the Ubuntu partition, then you either have to move or shrink partitions to be able to put the unallocated space adjacent to the Ubuntu partition to be able to resize it. How to create a partition in Gparted? I need help with increasing the size of the file-system partition. Partitioning-o-phobia! How do I reduce the space allocated to Ubuntu? 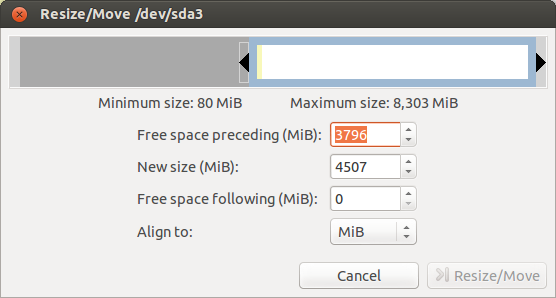 How to increase my Ubuntu disk space? How do I change the size of an ext4 partition? how to extend root (/) partition by freeing ext4 partition? GParted can't move extended partition to the right?